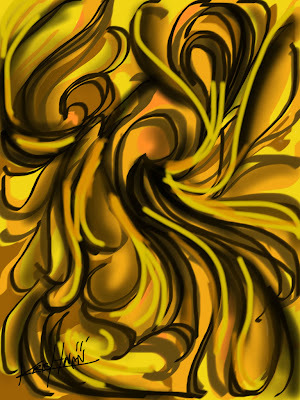 Another abstract piece - this one reminds me of a design I did for a yoga mat about 2.5 years ago. Dunno why, but it makes me think of a mustachioed man crushing a snake in his bare hands. Love your stuff! Keep em' coming!